Answering the call for Saz’s beyond the walls of the State House, this flagship catering operation has provided a diverse client base with full-service catering and event planning since 1988. With limitless creativity and unmatched versatility, the staff at Saz’s Catering brings fresh insight into the development of each menu, carrying its support through each detail in the planning process and extending that pride into the successful execution of each and every event. From quick corporate luncheons for 25 and elegant formal galas for 400 to festival concessions for groups topping 25,000, Saz’s Catering is dedicated to delivering complete client satisfaction. Add to this an intimate familiarity with the Milwaukee area’s most popular venues and a reach extending from Oshkosh into the Northwest suburbs of Chicago, and you’ve got a recipe for success. Engagement Parties, Bridal Showers, Rehearsal Dinners, Receptions, Gift Openings, Vow Renewals, Anniversary Parties catered by The Finest. Leave the details to Saz’s for all things corporate catering. Onsite or off, Saz’s will handle the planning, letting you tend to the corporate objective of your event. Quick and easy menu planning from the last-minute luncheon to a night off from family dinner prep with pick up available at two convenient locations. Whether black tie or block party, Saz’s has what it takes to help raise funds for your cause. Themed events designed to entice donors deserve meticulous attention to detail and a stellar team to pull off a seamless experience and encourage donor generosity. Graduations, Church Events, Birthday Parties, Baby Showers and then some – wherever and however your group gathers, Saz’s can craft a custom menu to suit your style or offer simple menus with proven success. Prom, Teacher In-Service Days, School Lunch Programs, Afterschool Activities, Awards Banquets and plenty more – from the tiniest tots to collegiate affairs, Saz’s Catering has the solution to your catering needs. Quinceañeras, Bar and Bat Mitzvahs, and Chinese New Year are just a few – Saz’s Chefs embrace the opportunity to blend culture with menu in custom concoctions to accommodate tradition, even reproducing long-lost family recipes down to the perfect pinch of spice. Saz’s has built much of its reputation on its festival favorites. But the deliciousness doesn’t stop at the concession counter! With VIP Private Party Areas, Hospitality Suites, and several Exclusive Partnerships with some of Wisconsin’s most well-known festivals, Saz’s festival catering has you covered from May through October. So you’ve got a few potential dates, some thoughts on venue location, a general idea of how many guests you’re expecting and maybe even a menu or décor wish list. Now what?  No need to sort through all the details available on sazs.com – take a minute to click below and Saz’s Catering will take it from there! Based on your responses to a few quick questions, the Saz’s Catering management team will check availability for your preferred date(s) and gather the information you need to move forward in your planning. Within about one business day, you’ll hear from an event manager via phone or email. It’s just that simple.